Mother’s Day is right around the corner, and for the 38th year in a row, the Cabrillo College horticulture department is having it’s annual Mother’s Day Plant Sale. Each year, they sell a huge selection of plants, flowers, culinary and medicinal herbs, succulents, vines, vegetable starts – you name it, they got it! This year they have over 1,000 varieties to choose from. All of the plants being sold were grown by Cabrillo students, with proceeds from the sale going to fund the Environmental Horticulture Facility for the upcoming school year. The “presale” begins on Friday, May 9 from 3 to 7 PM, and you must donate $25 to get in on the presale. On Saturday May 10, hours are from 9:00 AM to 5:00 PM, and Sunday from 10:00 AM to 2:00 PM. While you’re there, check out their state-of-the-art facilities including the greenhouse complex, shadehouses, lab classroom, horticulture learning center, and community room. 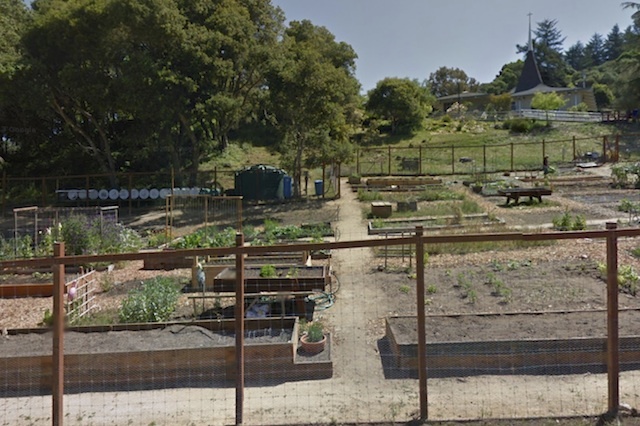 Agriculture plays a significant part in the Aptos economy, and it’s interesting to see how the future of agriculture is being shaped in our community. Glaum Egg Ranch is a true Aptos gem. Nestled away in the hills along Valencia Road, the Glaum Egg Ranch has been a family owned and operated business for over 80 years. They specialize in 100% cage free and organic eggs, using sustainable farming techniques. Their eggs are available in over 500 stores and restaurants in and near Santa Cruz county. If you don’t have the space or don’t want the hassle of having a chicken coop – but you want genuinely fresh and tasty eggs – then Glaum Egg Ranch eggs are the logical choice in Santa Cruz. But it must be said, logic flies out the window when it comes to their egg vending machine. Vending machines are nothing new or special, but how many of them deliver flats of eggs? The Glaum Egg Ranch vending machine, however, offers something extra-special: an animatronic song-and-dance! It’s cute and something the kids are sure to enjoy. It’s a great way to spend $4 and get 22 fresh, free-range organic eggs to boot! Tip: bring crisp single dollar bills for the egg vending machine. Also, they are closed on Sundays and only open from 8:00 AM to 10:30 AM on Saturdays.